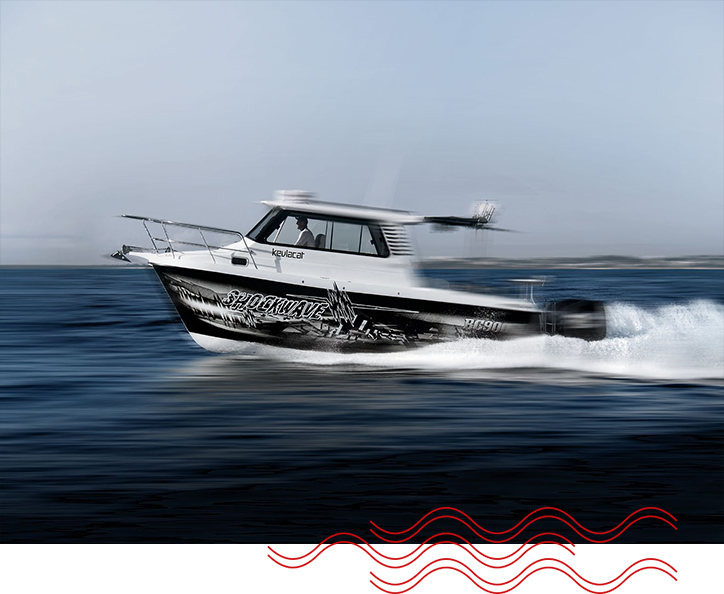 Derived from the award winning 7.2 Metre, the all new 8.0 Metre Series 3000 is now available in an open style Hardtop, Cuddy Cabin and Lockable Hardtop. 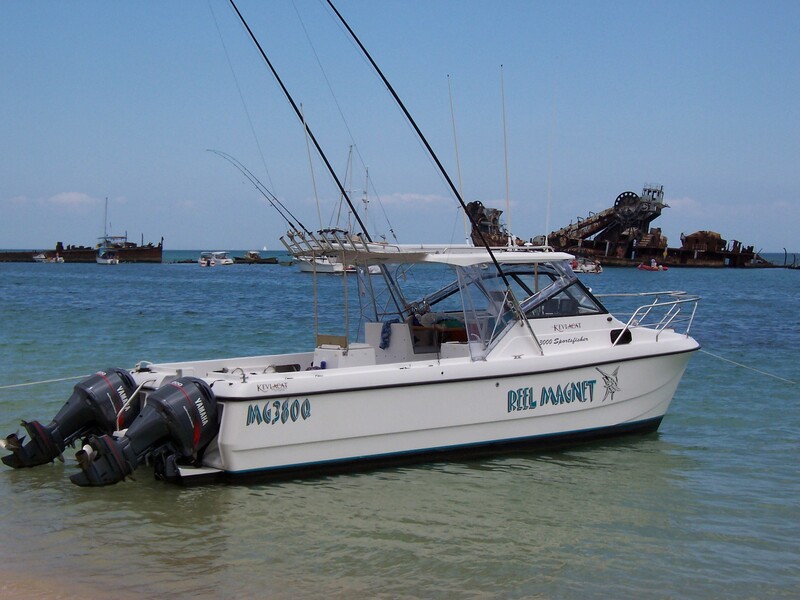 With the engine options of outboard, diesel/petrol, stern/shaft drive packages available, there is sure to be something suitable for all fishing activities. 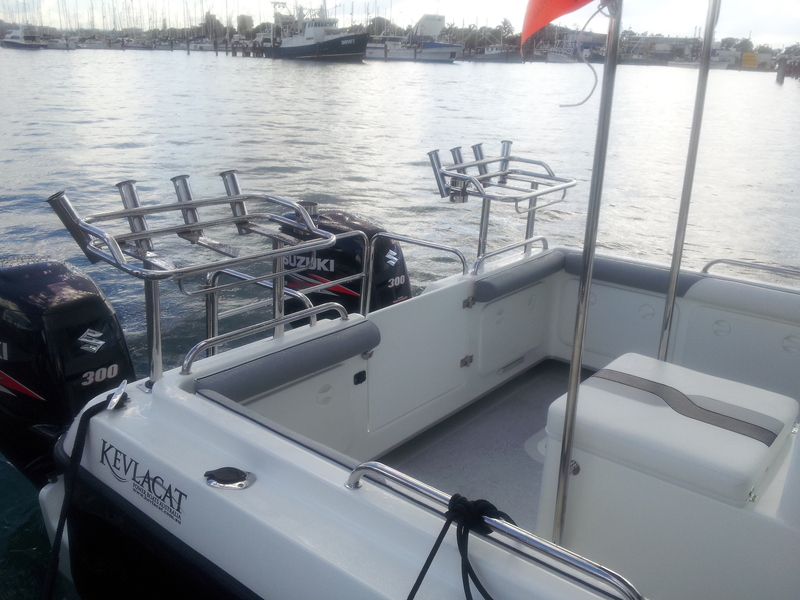 Whether you are a commercial fisherman or just a recreational boater, the Kevlacat 3000 Series can be configured to suit your specific requirements. 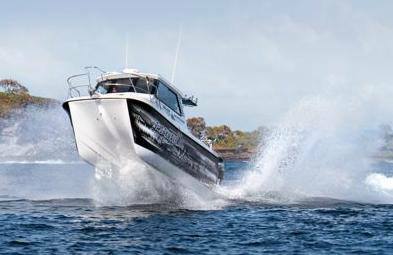 With a class leading beam of 2.8mtrs the 3000 Series gives you unsurpassed stability and available deck space to be fitted out just the way you want it. 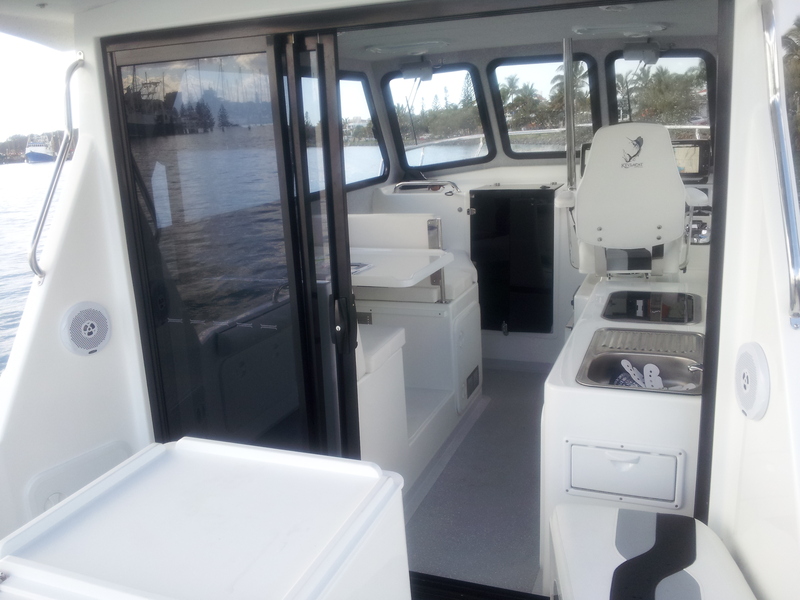 Family comforts can easily be catered for with a choice of two dinette styles and a well equipped galley unit available. 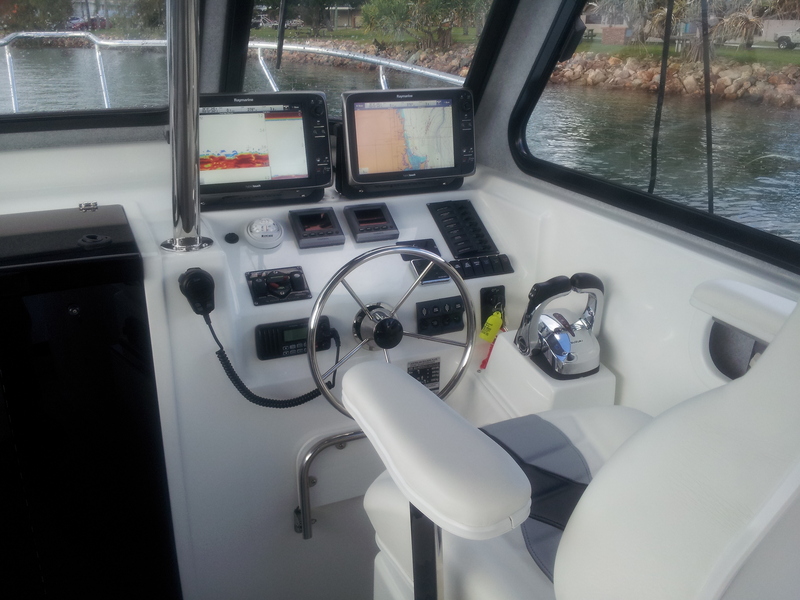 The whole family can be boating in comfort and style on that all day fishing trip or that weekend away up the coast. 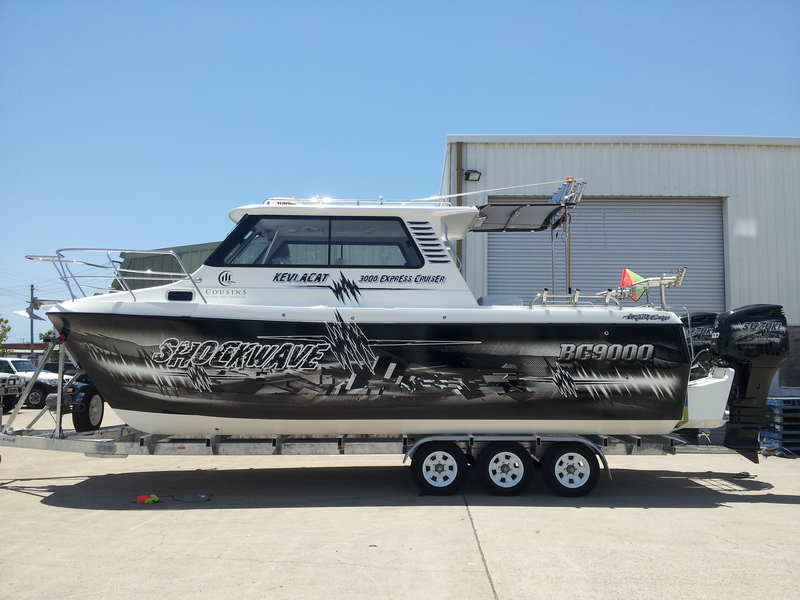 For the ultimate in ride, comfort, safety and stability you cannot go past the Kevlacat 3000 Series of powered catamarans. 5 piece safety glass wind screen. 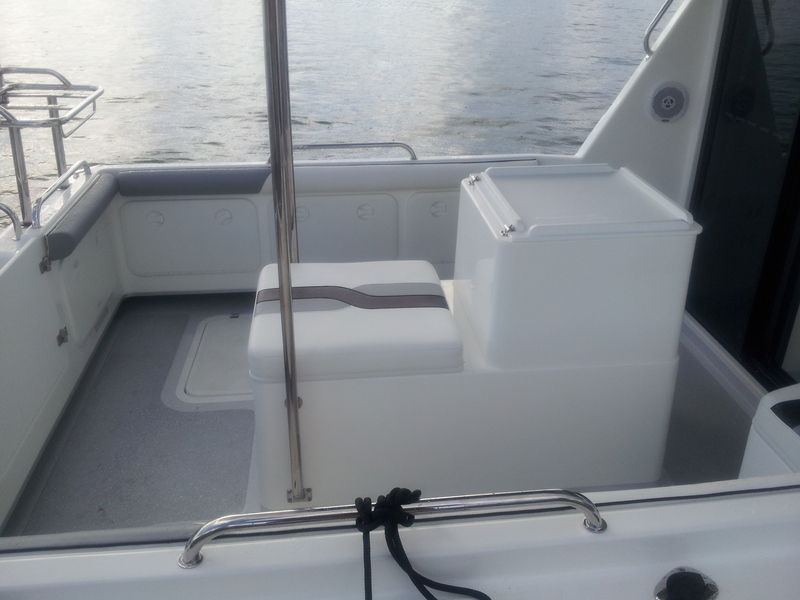 On the water, nothing compares with the overall performance of a KEVLACAT Power Boat!